We know not everyone will want a fully customised folder so we make this Room Information folder in bulk so we can offer hot pricing. Our stock Room Information folder is ideal for any size motel or hotel wanting a simple, cost effective solution that wont break the bank. We can even add your logo giving you the custom look for a fraction of the price. 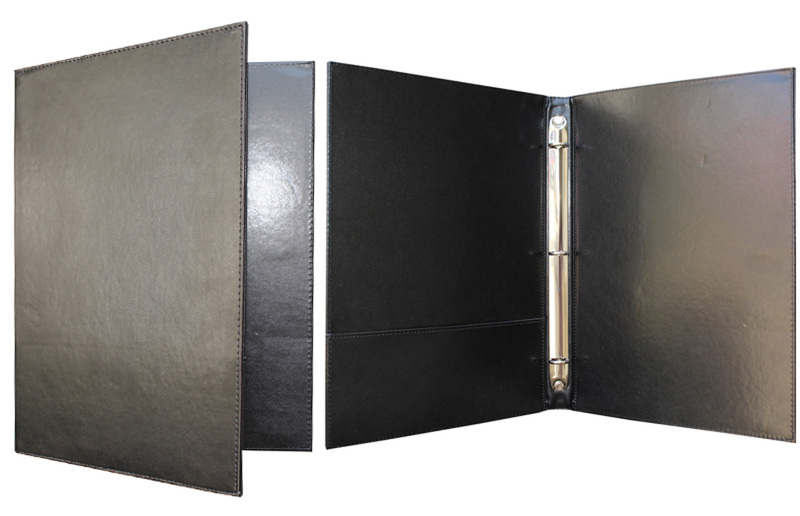 The Room information folder is designed to hold A4 paper and we have build a handy pocket inside the front cover to hold any additional leaflets or information. Please note it is only available in A4 black (the most popular colour). SKU: Stock Compendium. Category: Custom Compendiums. Tags: featured, homepage.